How could someone be so fab at 50?!? R&B and Latin pop superstar Jennifer Lopez has been gifted with fantastic moves, fierce swag, a flair for music and acting, and an ever solid and loyal fanbase. As she hits this milestone in her life, J.Lo wishes to gather her fans where they can join in on the celebration. 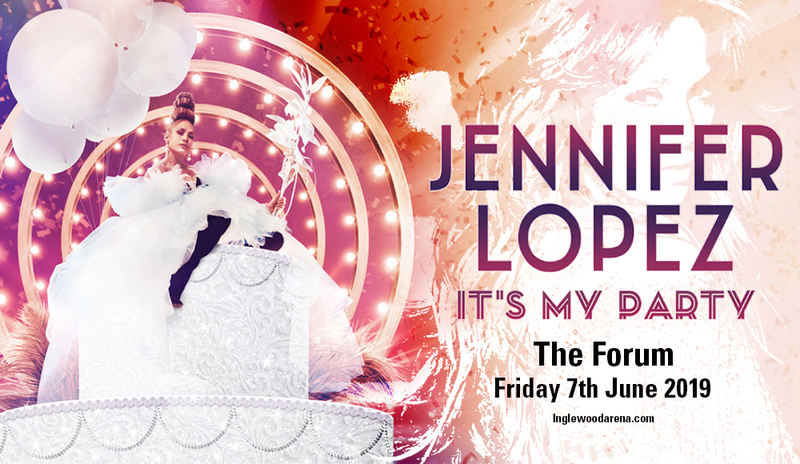 “It’s My Party: The Live Celebration” tour will take the Latina star on the road, which includes The Forum as one of her party stages, for a slated one-night-only show on Friday 7th June 2019. Let's get loud and party with J.LO. All you have to do lock-in this date, pin the venue, and book tickets a.s.a.p. ! This concert not only celebrates her semicentennial year but also significant milestones in J.Lo. 's dazzling and flourishing career. Her portrayal of the beloved Tejano singer Selena in a 1997 biopic was pivotal to the surge of her popularity that reached the heights of international superstardom. Her bilingual appeal also helped her cover more ground as she was able to reach more audiences. Her debut single “If You Had My Love” was an instant hit the triggered heightened anticipation for her debut album. As the studio album “On the 6” was released in June 1999, subsequent singles “No Me Ames”, “Waiting for Tonight”, and “Feelin’ So Good”, all skyrocketed to the top of the charts. With her string of blockbuster movies and her triple threat showmanship, Jennifer Lopez was awarded a star at the Hollywood Walk of Fame, and bestowed and honored as the first woman recipient of the prestigious Billboard Icon Award in 2014. Don't miss this explosive show and this fantabulous party! Get your tickets now!